31 Aug Are Your Kids Ready For School? As you probably know by now, September is the time most kids dread: beginning of the new school season. I’m sure most people have the necessary school supplies bought and your little ones have new clothes to dazzle their friends but have you thought about their closets and where they do their homework? Getting ready for school in the morning is so much easier if your closet is organized. I’m certain your little one has much more pressing issues on their minds than how easy it is to choose their clothes in the morning for school. A child’s closet has different priorities as opposed to a grown-up’s. For one thing, closet rods should be made adjustable so that their closet can grow with them! Keep in mind, your kids are much shorter than you are…. at least for now! Drawers are a great way for kids to organize small things such as socks, undies and small accessories in general. As for bulkier items, sweaters and hoodies for example, should be hung up. I’m sure I’m not the first person to realize kids will not fold their clothes so make it easy for them. As your kids evolve, consider some drawers for jewelry accessories or more so, their ever-growing electronics collection. Drawers are a great place to store their phone, tablet and not to mention all of their peripherals that go with them! Shelving is also greatly important in a child’s closet since it can house napsacks, bulky items like books or their favourite large toy. Whether the shelving is in the closet, stand-alone or above a work desk area, these are great for displaying them instantly and making them visible instead of being hidden away and forgotten. Once your little one comes home, you soon realize it’s going to be homework time a lot more often! They are going to need somewhere to study, do homework and concentrate. 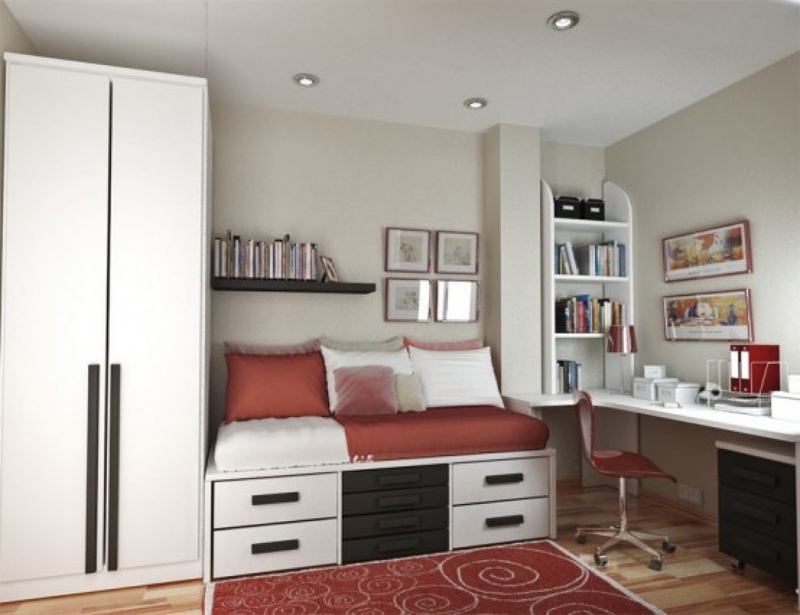 Consider making a desk space that suitable for their size not to mention all of the gear that goes with school. We can create any size, colour or shape to make your little one’s homework easier to accomplish.